This converted former Stable is situated within the steading at High Wray Farm. The ctage has two en-suite bedrooms a lounge dining area and kitchen, equipped and furnished to a high standard. This cottage also has the benefit of being fully accessible for disabled visitors. With many extra features ensuring wheelchair users or anyone with limited mobility will have an enjoyable stay. If you wish to prepare your own food in the well equipped kitchen, the local shops provide an excellent range of produce and supplies. Tea/coffee and a pint of milk are awaiting your arrival, the beds are ready made and towels are provided. The Stable Cottage boasts spectacular uninterrupted views across the valley towards the Langdale Pikes and the Fairfield Horseshoe. Stable Cottage has two bedrooms with en-suite shower rooms, the double room has en-suite wet room which is fully accessible for disabled visitors. Sheila is on hand in the farmhouse to help and advise you about local walks and places to visit. 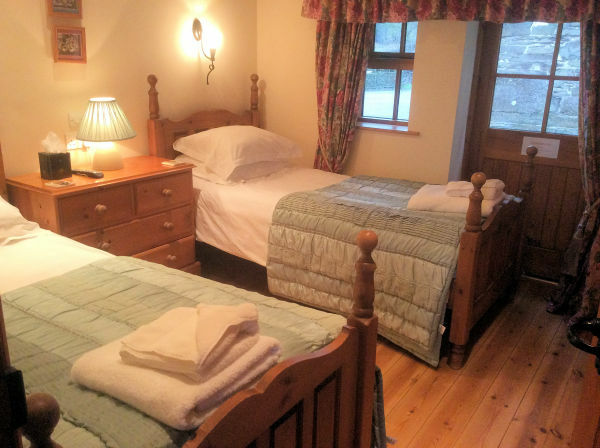 Bed & Breakfast accommodation is also available in the farmhouse should you have friends or family who wish to join you for part or all of your stay. A warm welcome awaits all who visit, where comfort cleanliness and personal attention are assured. We stayed in the Stables, a self contained cottage at High Wray farm and it was fantastic. 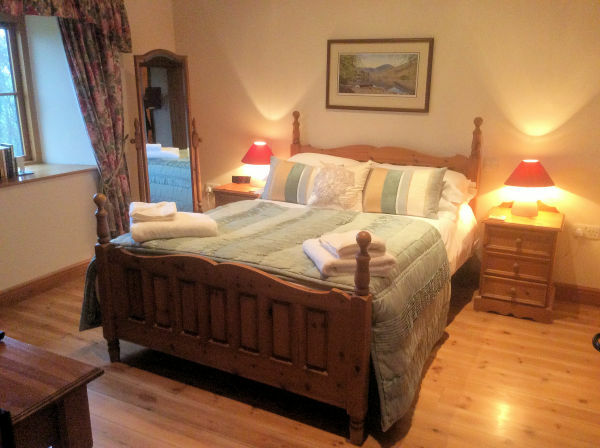 We chose this accommodation because my husband is in a wheelchair and the cottage provides step free access along with an en suite wet room, which let me tell you is a hard thing to find in the Lakes. 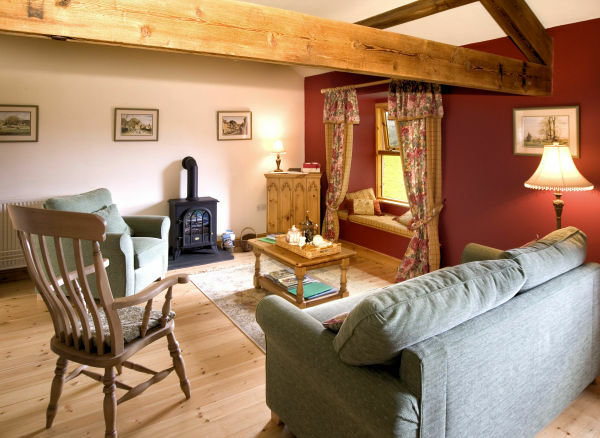 The cottage is lovely with amazing views of the surrounding countryside and rolling hills. It's spacious, very accessible and met all our needs. The hosts Sheila and Chris are very friendly and welcoming. They strike the right blend of being helpful and approachable but giving you enough space to enjoy your stay with your family. We were a family of four with a dog and and the location was perfect. 5 minutes to Ambleside and 10 minutes to Hawkshead by car (which you definitely need).